Sister site Definitive Touch gets a sneak peek at United Arrows spring / summer 2011 season, a bright, cheery collection. Marked by pieces decorated by bright florals and fun colors. A great lineup from this Japanese brand that adds a great deal of fun and cheer to traditional men’s summer wear. 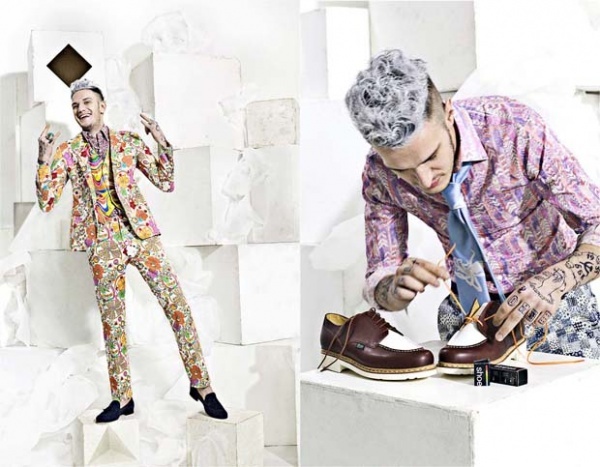 We’re especially enamoured of that paisley three-piece suit. Wild. This entry was posted in Accessories, Belts, Blazers, Collections, Dress Shirts, News, Outerwear, Pants/Bottoms, Suits, Ties, Tops and tagged Definitive Touch, United Arrows. Bookmark the permalink.